I think that's W. 64th Avenue down there on the plains. 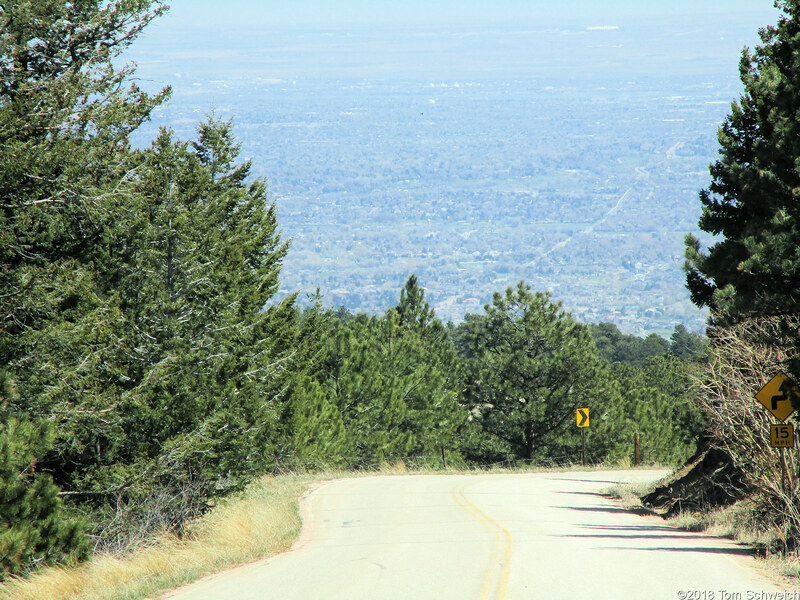 Belcher Hill Road, Jefferson County, Colorado: on the down-hill slide. Field Notes: 27 Apr 2018. Other photos about Geography - Jefferson County, CO or White Ranch Park.